Samsung’s newest handset dispenses of the physical scanner on the back of the phone for a far more cutting-edge one. 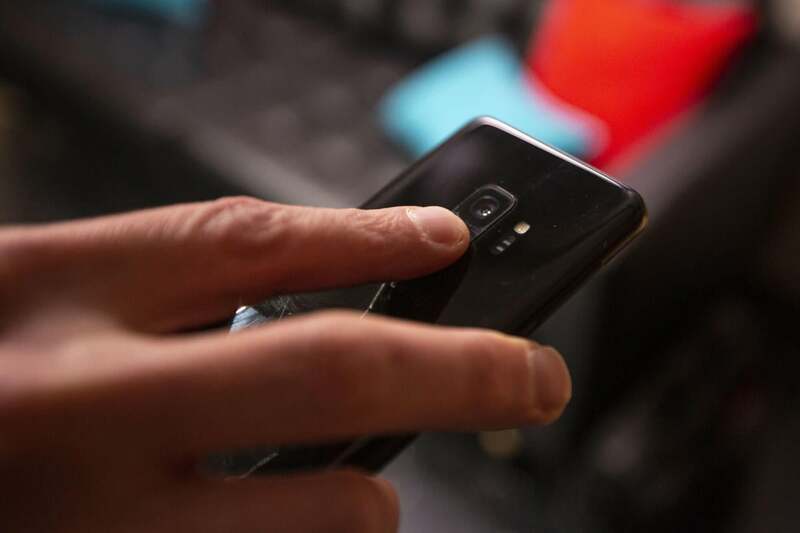 Inside the Galaxy S10+’s display you’ll find an ultrasonic fingerprint sensor that uses sound to read the ridges in your fingerprint. The OnePlus 6T also has an in-display fingerprint scanner, but it uses Qualcomm’s optical sensor. That means it uses a brief burst of light to illuminate your fingerprint and allow the scanner to read it. 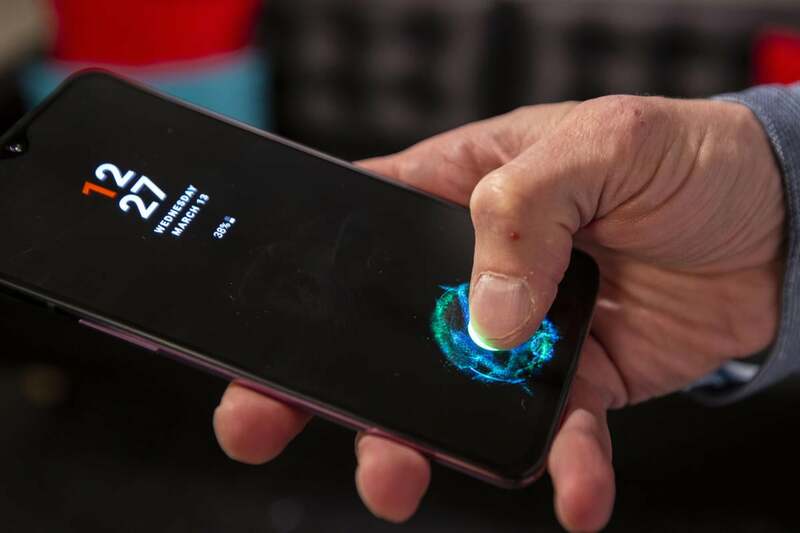 Up until the Galaxy S10+, Samsung used a physical fingerprint scanner just like every other Android phone. On the Galaxy S9 it’s positioned a little higher than it is on other Android phones, but it’s way better than it was on the Galaxy S8, when it was to the right of the camera lens. Apple was one of the first phone makers to bring a fingerprint scanner to a phone in Touch ID, and from the iPhone 5s to the iPhone 8 it remained inside the home button below the screen. 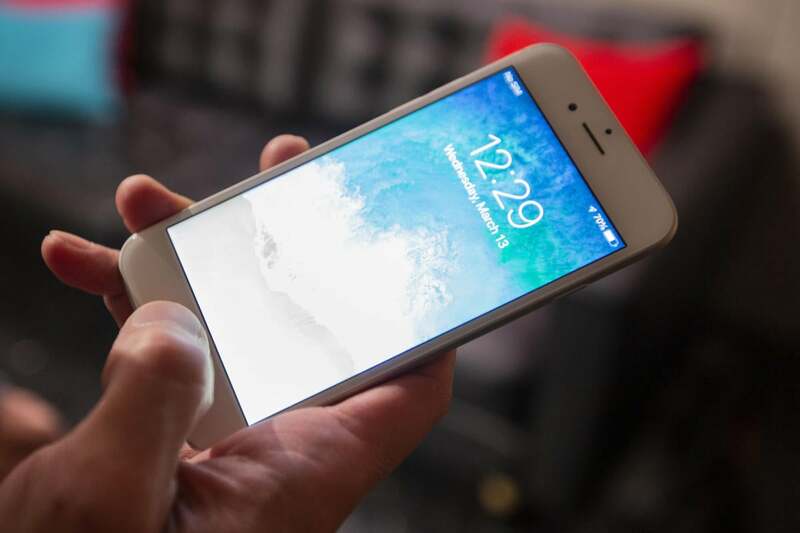 The iPhone 6s is a three-year old phone, but it uses the same second-gen scanner as the last iPhone to feature a fingerprint scanner, the iPhone 8. The only difference is that the button on the iPhone 6s is the older one that clicks, rather than the solid-state one on the iPhone 7 and 8. I used the Galaxy S10+, OnePlus 6T, iPhone 6s, and Galaxy S9 for this test. Press the power button to turn the screen on. Unlock the phone with my fingerprint. Press the power button to turn the screen off. And I repeated that 10 times for each phone. I ran the test a couple of times to get an average and scored the best times. I restarted the test when there was a missed scan, but I let the opening animation finish before I turned the screen off. The Galaxy S9 uses a standard sensor, but its placement isn’t the best. The next test was a little less methodical. Basically, I wanted to see how the sensors would work in three relatively common conditions: water, soap, and debris (in this case, powdered sugar). It didn’t time the tests, but I tracked how many times each phone was able to unlock when my finger was wet, soapy, and powdery. To conduct the test, I filled three cups filled with water, soapy water, and powdered sugar, and I dipped my scanning finger in each of them, tried to unlock each phone a number of times, and then repeated. The least scientific but more important test I ran was accuracy. I wanted to see how quickly I could take each phone out of my pocket and unlock it, taking all variables into account. Like the speed test, I performed the test several times and took an average. For each phone, I put it in the same pocket (my right), with the top of the down facing down and the screen facing away from my leg. Then I reached inside, took it out, and unlocked it, stopping the timer as soon as the home screen appeared. I grabbed it the way I normally would and kept my eyes closed to try to make it a true test of how accurate I needed to be and how easy the sensor is to find without looking. As you can see in the video, the iPhone was the easy winner when it came to speed. Apple was one of the pioneers of the fingerprint revolution, and its scanners have always been among the fastest around. The size of the scanner also helps, as does the placement below the screen. The OnePlus 6T uses light to scan your fingerprint. The OnePlus 6T performed well too. I used it in a well-lit room, which helps the optical scanner do its thing, but I was still impressed with how quickly I was able to unlock each time as if the sensor was physically under my thumb. The physical sensor on the Galaxy S9 brought up the rear, though that’s partially due to Samsung’s somewhat slow animations. But even with my finger positioned directly above it, the scanner on the S9 is on the small size and it’s pretty high on the back of the phone, making it a little trickier to hit. The biggest surprise was the Galaxy S10+. While it technically beat the S9 and I was generally able to unlock it 10 times in less than 20 seconds, I seriously had to concentrate to make sure my thumb was strategically placed over the scanner. The slightest deviation caused a false reading. 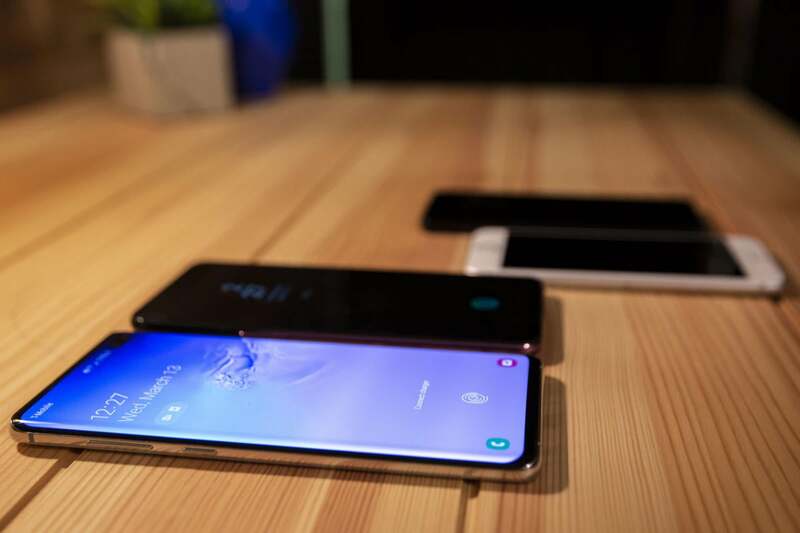 If this is going to be Samsung’s method going forward, it’s going to need some refinements in the Galaxy Note 10 and S11. All of the phones unlocked with my finger caked in powdered sugar. The physical scanners struggled a little—and I had to clean the crevices of sugar when I was done—but all in all, you shouldn’t worry if you’re eating a donut and need to unlock your phone in a pinch. Water and soap are another story. Neither the Galaxy S9 nor the iPhone 6s unlocked at all with wet fingers, and the OnePlus 6T struggled too, unlocking only after my finger was wiped down. But the Galaxy S10+, while not guaranteed to unlock, was the only one that was able to read my non-dry fingerprint with any regularity. So that’s definitely a benefit of Samsung’s in-display sensor over the traditional way of doing things. In the all-important accuracy test, the iPhone 6s was the only phone I was able to unlock in less than 2 seconds (1.5 to be exact), but the OnePlus 6T wasn’t far behind at exactly 2 seconds. The Galaxy S9 took a little longer at 3 seconds—again due to its awkward placement—but the S10+ was the big loser here, taking more than twice as long to go from pocket to use. And that represents my best time. I fumbled more with the Galaxy S10+ than any other phone here, and not because of its size. Samsung’s whole in-display system is temperamental, with very little room for error. OnePlus’s optical scanner is far more forgiving, and I’m not really sure what Samsung gained by going this route other than a slightly cleaner back. It may feel like next-generation tech in theory, but it’s clearly a step backwards in usability. While the iPhone handily won overall, it’s got the oldest sensor here and the only one that isn’t made anymore. That speaks volumes for Apple’s engineering: Apple has such faith in Face ID as a superior and more secure method of unlocking and authenticating, it abandoned one of the best fingerprint sensors on the market. The iPhone 6s looks outdated, but its fingerprint scanner is still top-notch. We can also glean some data on in-display sensors. Out of the gate, the optical scanner on the OnePlus 6T is better than the ultrasonic scanner on the Samsung Galaxy S10+, but it’s hard to say whether that’s due to the placement, size of the scanner, or the overall implementation of the system. Also, Samsung’s animations were consistently slower than OnePlus’s and Apple’s, making the whole system feel even slower than it should, even when it unlocked on the first try. All in all, it very much feels like a first-gen sensor, which is in itself a step backward. The Galaxy S9 and S8 might have suffered from weird placement of their sensors, but once muscle memory adjusted, the mechanism was solid. With the Galaxy S10+, it’s basically a guess as to where to put your finger—and more often than not, I missed. And without any other secure option—including the iris scanner that debuted on the S7—the experience on the S10+ is less than great. In short, we need a 3D facial-scanning solution for Android phones. While Huawei has one on the Mate 20 Pro and LG introduced a time-of-flight sensor on the G8, Face ID has yet to be mimicked in a mainstream way. And it needs to happen. Compared to the iPhone XS, all of the fingerprint scanners here feel like old tech, but only Apple has moved on to something better. Previous articleiPhone Other storage: What is it and how do you delete it?